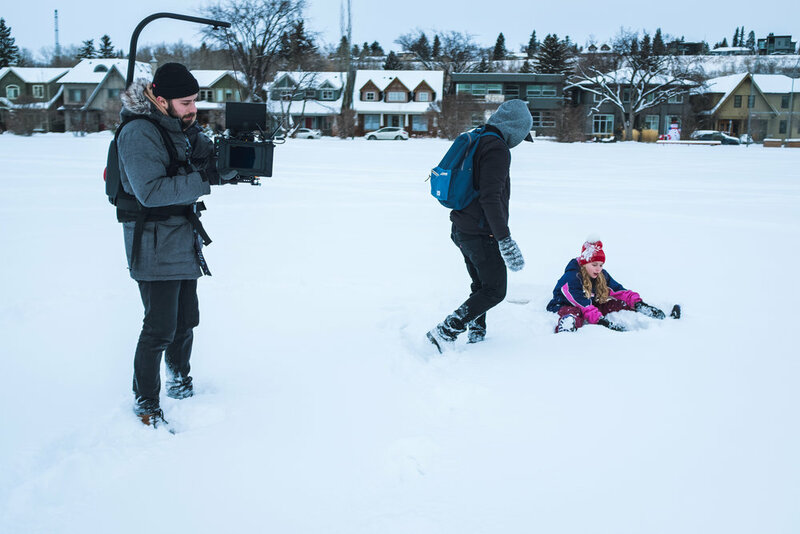 I was asked to DP a project for Tourism Jasper in partnership with Lift Interactive. 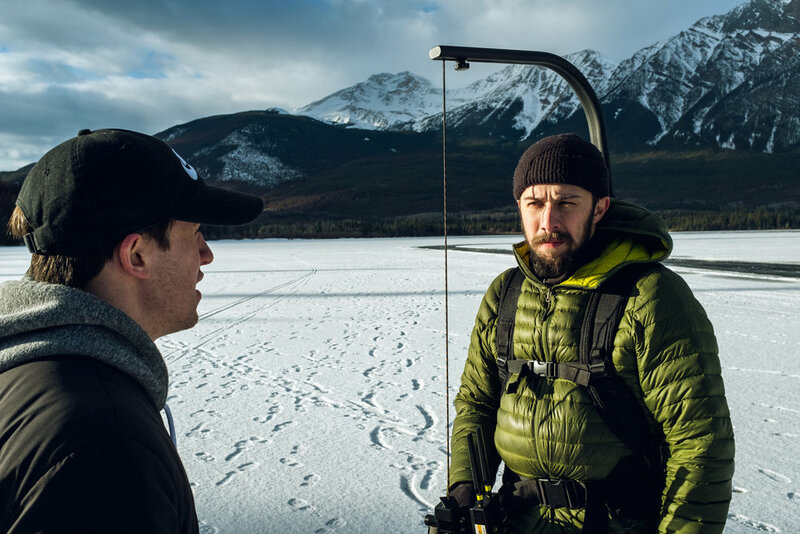 "Love, Winter" highlights Edmonton's proximity to Jasper and focuses on how accessible the mountains are. Any chance to work in Jasper is alright with me! Due to our tight schedule I had decided to get our most complicated shot out of the way first. This consisted of a wide shot following the picture car down the highway, and in order to do this, we mounted the camera straight to the roof of the car. We avoided using a gimbal as our speeds were going to exceed 60 km per hour, and we wanted to eliminate any chance of error. We shot this in 8K which allowed us to stabilize and crop in post. Almost the entire spot was shot using the EasyRig. I chose the route to avoid down time, as well as to give everything a subtle hand-held feel. Prepping for our toboggan shot. My AC, Corey Sadoway, stepped in to operate this shot on skiis. This entire project was shot over the course of two days, using the RED Epic-W and Schneider Xenon FF Primes. Thanks to Lift Interactive for bringing me on board to play around in the mountains, and capture how easy it is to enjoy the outdoors.